The Saal 3 control room is now based around a unique custom analogue console featuring a digitally controlled switching matrix. The Funkhaus (‘broadcast house’) in the district of Oberschöneweide in the former east of Berlin is no longer a well-kept secret. Located on the banks of the river Spree, away from the city centre and nestled between an old power station and a cement plant, it’s one of the finest examples of recording studio architecture to be found anywhere in the world, and quite possibly the largest structure on the planet to have been purpose built for music production. 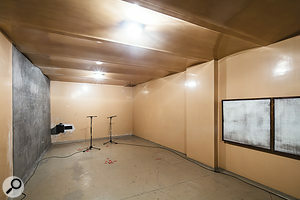 Saal 3’s impressive live room was originally designed for recording chamber ensembles. The reason why this sonic miracle exists is intimately connected to Berlin’s unique history. When Germany was divided after World War II, what was left of its former nationwide broadcasting services had to be split as well. For a brief period in post-war Berlin, broadcast networks for the Western and Eastern sectors were operating from the same location in West Berlin, but as political tensions rose, this became untenable. 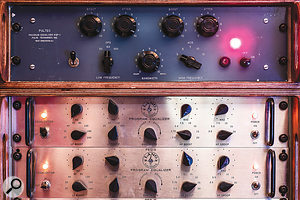 The console is complemented by a sidecar based on vintage Siemens modules. 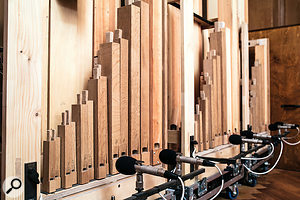 The live room is also home to a custom-built pipe organ. 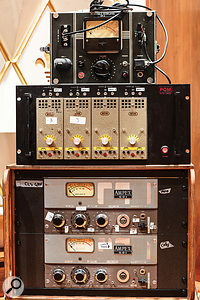 Outboard EQs include vintage Pultec and Lang units. 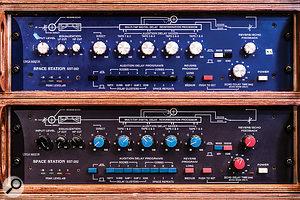 Vintage reverb choices include a pair of Ursa Major Space Stations. 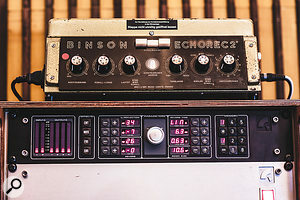 Binson Echorec 2 disc-based delay and a Quantec QRS reverb. 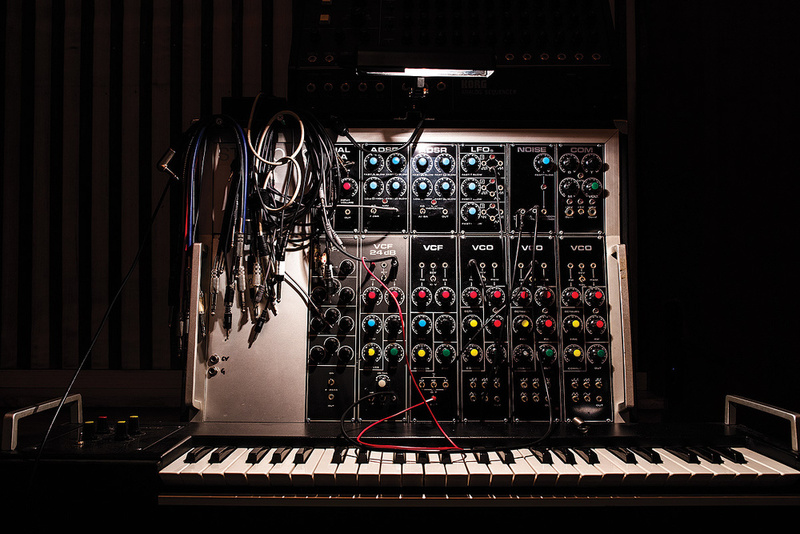 A mouthwatering selection of instruments includes this Formant modular synth. One of the echo chambers. Microphones and speakers are placed on the original floor markings. 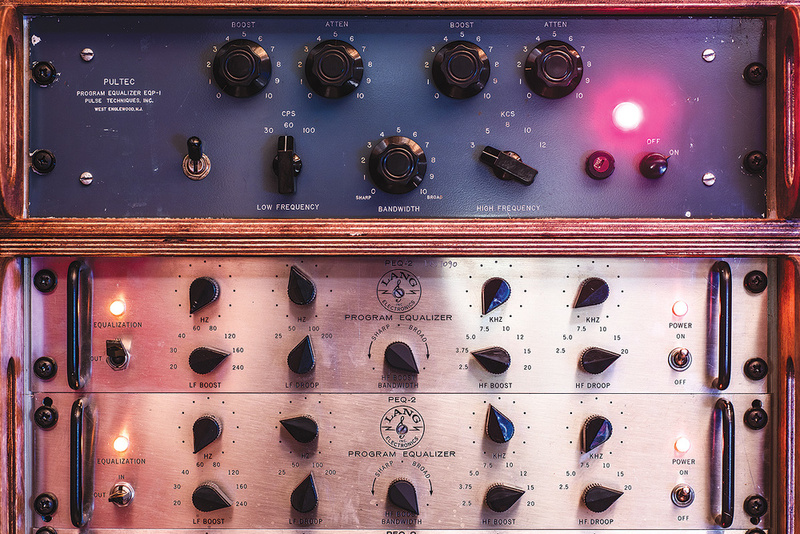 The remote preamp rack, a vital contributor to Nils Frahm’s piano sound, comprises an RCA OP-6, several WSW preamps and a pair of converted Ampex 601 preamps from tape recorders. 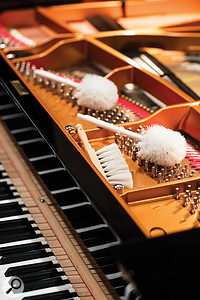 Several types of brushes are on hand for unusual piano sounds.Eventually the nationwide East German broadcast networks found a new headquarters in East Berlin in the first half of the 1950s. The Funkhaus was Block B of a much larger architectural ensemble created by Bauhaus architect Franz Ehrlich, and became the recording centrepiece of this ‘city within a city’, which once was home to 5000 employees. 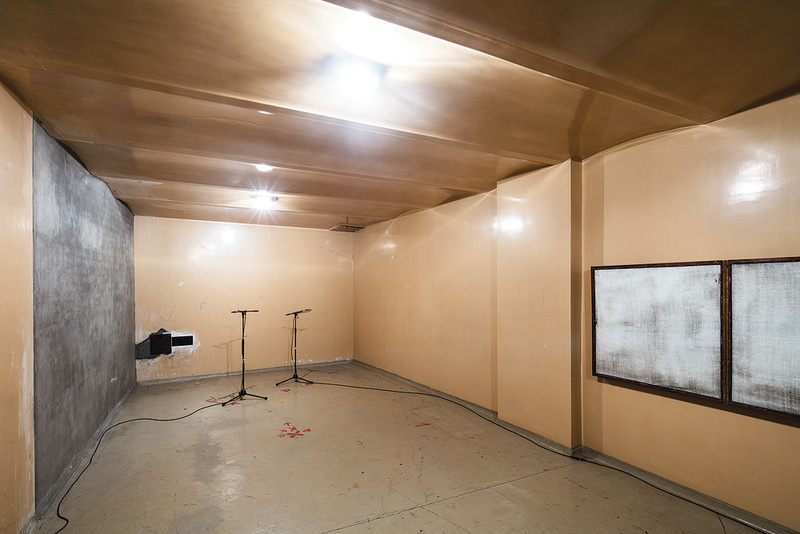 Today rated a protected architectural site, Block B is home to an 800-square-metre recording hall as well as almost half a dozen other independent recording studios conceived for various purposes from chamber music to Foley recordings. Remarkably, all of these studios share the same outer shell, but within this structure they were designed like individual buildings, all erected on their own separate foundations. Shortly after German reunification the broadcast business at Funkhaus was phased out, and the whole site became subject to real estate speculations: The Funkhaus complex has changed hands numerous times since the early 1990s, sometimes under criminal circumstances. Music has always been made on the premises, but although a few remarkable recording projects have taken place at Funkhaus over the past 15 years, the incredible building hasn’t consistently been used to its full potential. It is not easy to build or operate large-scale recording venues in the current climate, and the internationally recognised strengths of Berlin’s music scene largely encompass underground genres which don’t require large halls. 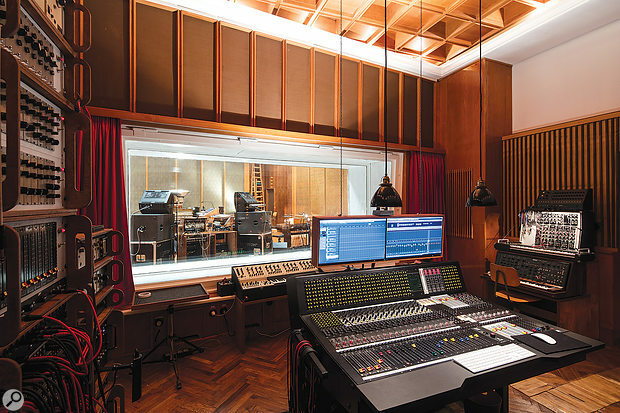 But things are developing, and for the first time in its modern history, the Funkhaus now houses a truly world-class studio where the technical setup is on a par with the architectural and acoustic properties of the place. In 2016, acclaimed pianist, composer and producer Nils Frahm took over operation of the former chamber music hall at Funkhaus, and after extensive remodelling, the studio is now ready to embark on the next phase of its journey. “We spent a lot of money to make it look like we didn’t do anything at all!” explains Frahm. 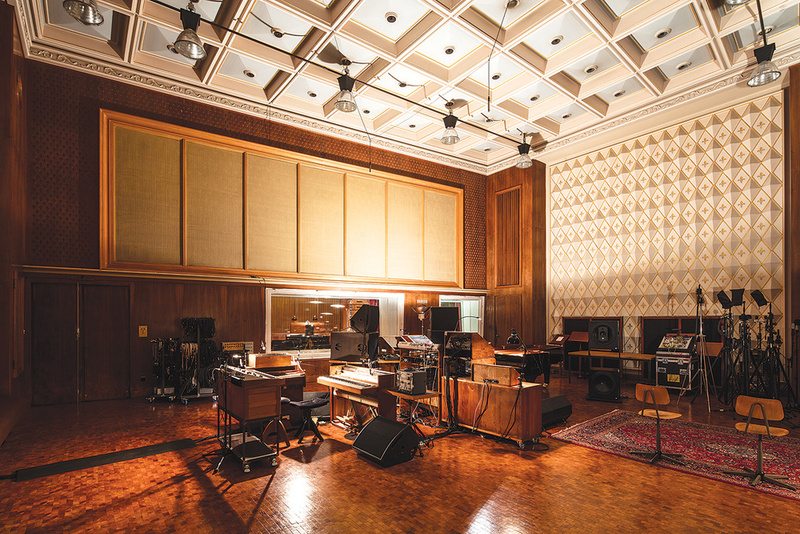 Some acoustic properties of the control room were modernised, the studio was fitted with new mains wiring and signal cabling, and the exquisite woodwork received a makeover as well. Nils Frahm insists that he is simply “hosting“ the venue, which will still go by its original unpoetic name, Saal 3 (‘Hall 3’). As he puts it, “You can’t name something that already has a name!“ The studio comprises the large 140-square-metre live area, as well as a smaller multi-purpose room of 25 square metres. The centrepiece of the 32-square-metre control room is a custom-built console based on Danner-format modules such as Neumann faders and Lawo EQs. Basically a 28-channel inline configuration, the desk sums on eight busses, offers eight aux sends and 16 microphone preamps, as well as 16 additional inputs for a sidecar made of Siemens modules like the W295a/b EQs. Together with his two main technicians, Nils Frahm designed a digitally controlled switching matrix based on high-quality relays integrated directly into the desk — a notable upgrade over the commonly used external patchbays mostly fed by longer, unbalanced leads. Based exclusively on Class-A, transformer-balanced modules and employing short signal paths, this one of a kind console meets mastering-grade specifications. 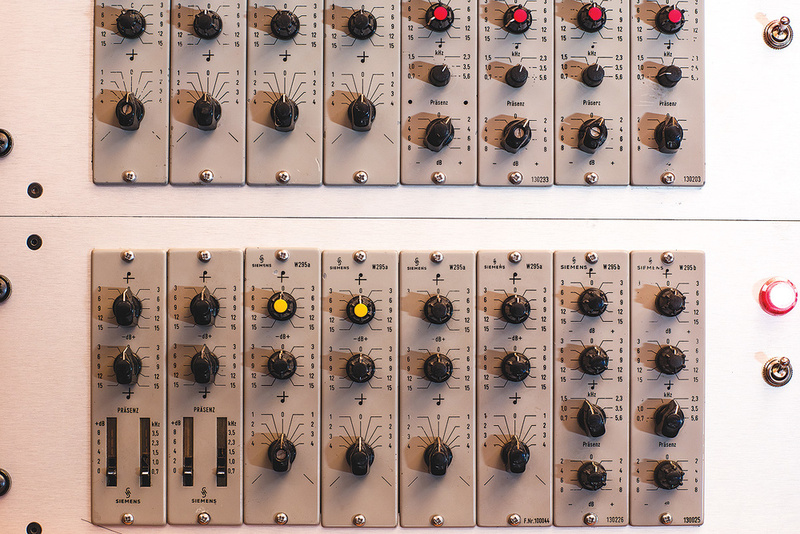 The outboard collection reveals Frahm’s taste for certain signal-processing topologies. 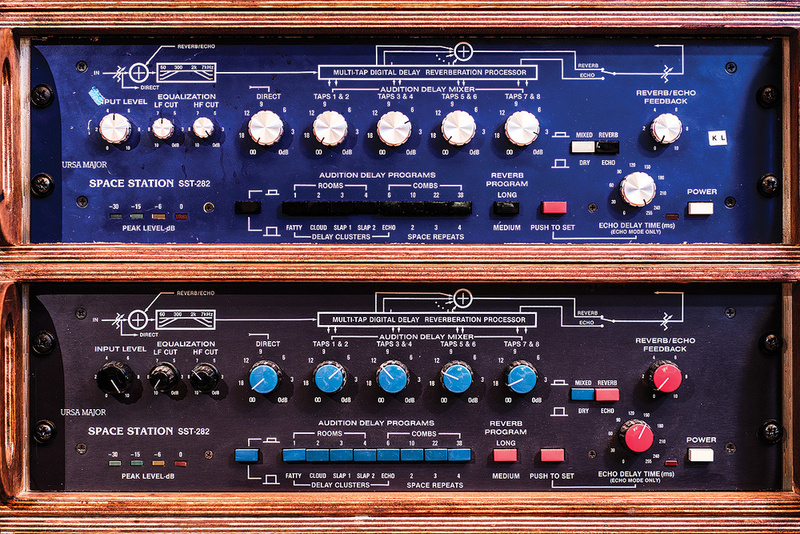 There are several Gates valve limiters such as a pair of SA-39s, a Level Devil and a Sta-Level, along with a Department of Commerce limiting amplifier and four 1176 clones made by his own technicians. 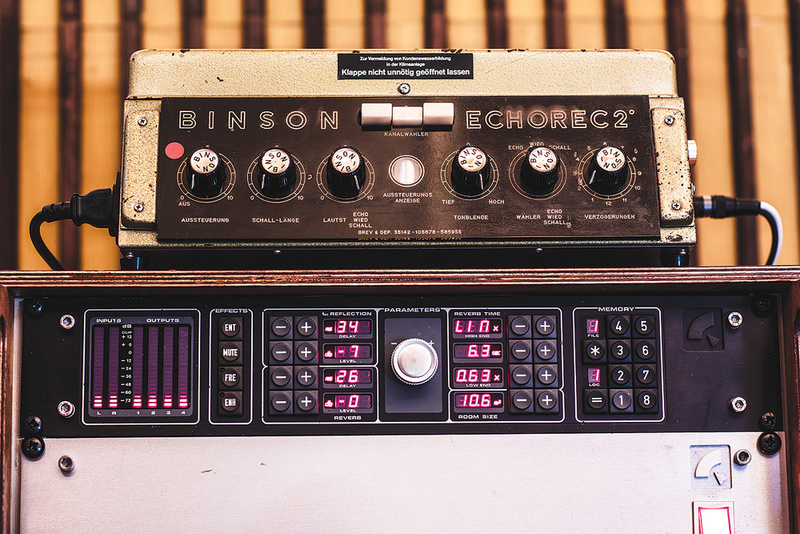 Outboard EQs include a Pultec EQP-1 as well as four Lang PEQ-2s, and there also is a number of vintage effects units like two pairs of Ursa Major Space Stations and Roland RE-501 Chorus Echoes, a Binson Echorec 2, a Quantec QRS and Dynacord VRS 23 and EMT 245 reverbs. 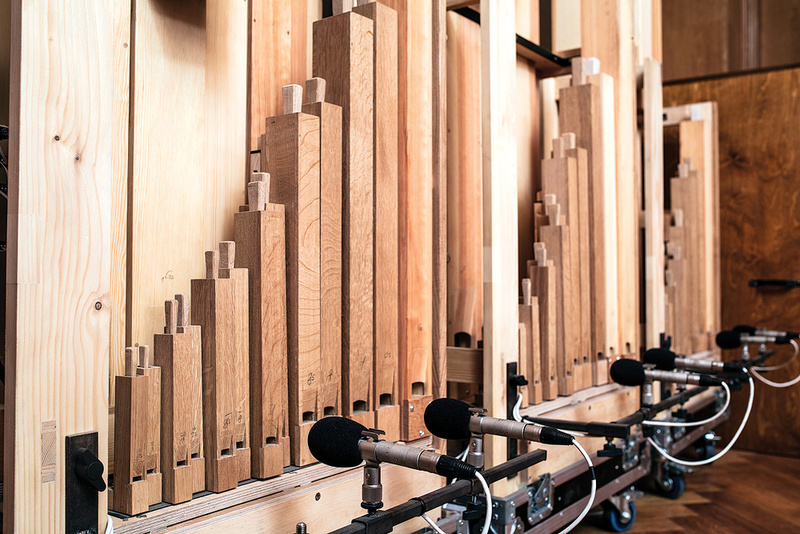 Saal 3 also offers EMT 140 and 240 units, and Nils Frahm has also revived one of the three original Funkhaus echo chambers. Much of the amazing kit on offer at Saal 3 can be found in the live areas, including a remote preamp rack with an RCA OP6 and some WSW and converted Ampex 601 preamps, and an instrument collection which should satisfy any keyboarder’s wildest dreams. 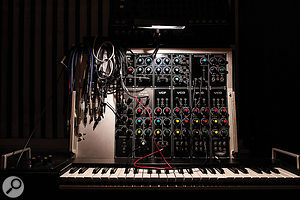 There is a Yamaha CFX grand piano and several upright pianos, as well as a Wurlitzer 200a and more special instruments like a Mannborg Harmonium, Deagans Celeste and numerous analogue synthesizers including a Rudi Linhard-modified Memorymoog, two Roland Juno 60s, a Moog Taurus, a Formant modular and many more. The microphone collection is built around a Decca Tree based on three Neumann M50s, an RFT bottle mic with M7 capsule, numerous Neumann KM54, KM56 and KM84s, an RCA BX-44 and 77-DX as well as Coles 4038 ribbons, and rare gems such as an Altec/Western Electric 639A.